We make fire each night, and was one thing keep you busy, I loved looking after woods in the bush, its the moment to explore our environment. Fire is the second Tv of the bush after the Sky at night time. Lots of Up and Down, but mean nice and hilly and gave me challenging. First Dirt Road ! only few km so was Fun ! when there is not the tourist group. away from influence in this beautiful Ranges. 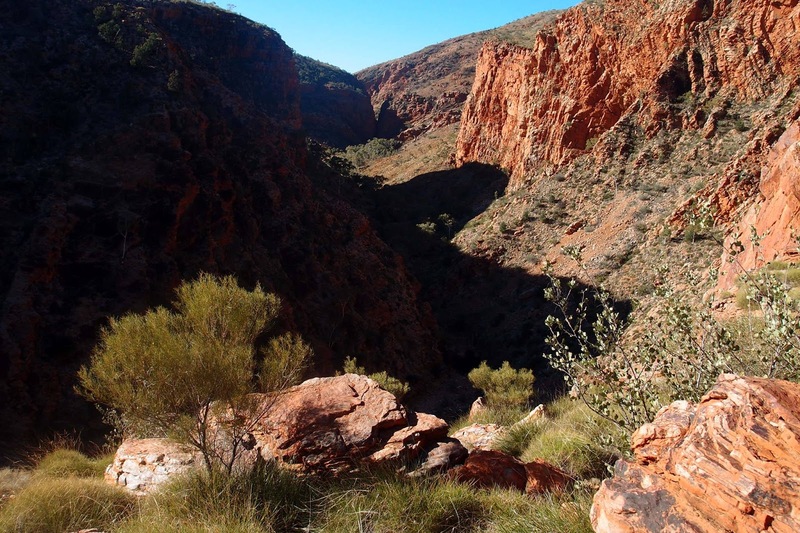 ﻿The Aboriginal name for Ellery Bighole is Udepata, and the permanent water made it a special meeting place for the Arrernte people on the fish and honey ant dreaming trails. very friendly but have to woke up for put more wood all night. Sunrise on the top of Mt Sonder, Freezing, but Amazing ! but after one time, I anticipate. 18km return and my rear rack remembers. 1st SandRoad, Have to push the bike several times ! during some 20km one way. on the sides there is too much sand, I couldn't ride. Have to ride on the corrugation of sand to keep going. • Buffel grass is widespread in central and northern Australia and has invaded a range of native plant communities. • It can dominate the ground layer, displacing native grasses and other plants. • Its rapid regrowth and high biomass may alter the intensity, frequency and extent of fires, changing vegetation structure and composition. • Buffel grass is still spreading, assisted by continued planting and new cultivars. • Its seed is readily dispersed by wind, water and animals. • Control measures can reduce impacts at sites of high conservation significance. • Mature plants are difficult to remove physically. Herbicide can be effective if applied when plants are actively growing and follow-up action is undertaken. Correct timing is essential. • The value of buffel grass as a pasture species is well recognised and it is not a declared weed. The Aborigines peoples don't share their knowledge with anyone and I can understand because its something from their family, part of their heart, I think its something personal. Maybe the people don't feel the Australian history because it's not finished? Ça à l'air vraiment top l'Australie pour pédaler. Entre les pistes, les bivouacs de rêve et les paysages, on peut difficilement faire mieux !